Last week, we discussed the importance of transportation when taking tricks. You can have good tricks on one side of the table and not be able to use them because you don’t have the transportation to get there. 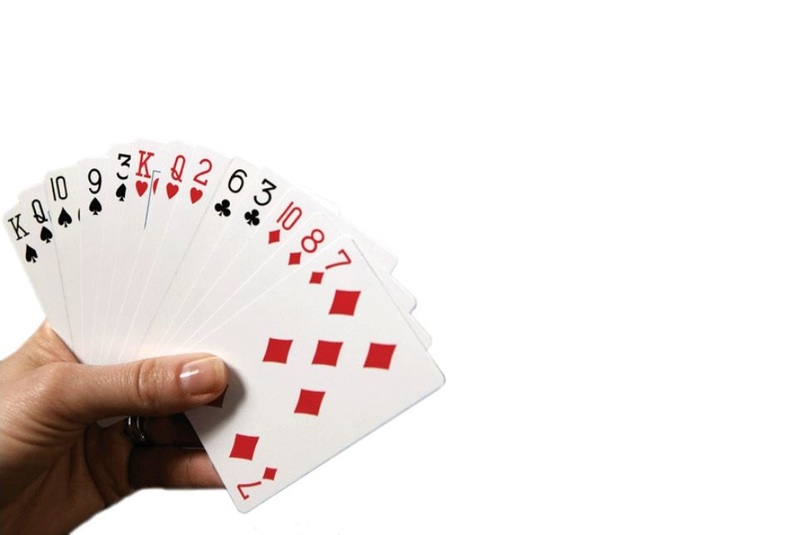 In the hand below, North is playing a Four-Spade contract. His transportation is by cross-ruffing. That is, a suit is led by one hand in which the other hand is void. A trump is used to capture the trick. Another suit is returned in which the first hand is void. A trump on that side of the table captures the trick. Above is a fairly simple illustration of two partnership hands that have good transportation and will cross-ruff, ideally making a 4-Spade game contract with only eighteen high-card points. North has a good five-card suit and 12 points counting one length point for the fifth card in Spades. He opens the bidding with a One-Spade bid. South has just seven high-card points, but also he has a length point for his five-card Spade suit. Of course this gives him a fit in Spades so he can count five points for his Club void. Also, he is aware of the Law of Total Tricks that states that you can usually safely play a contract that equals the total number of trump the partnership has. It doesn’t guarantee that you will make the contract, but usually you can do better than letting your opponents play the contract. Accordingly, South jumps to Four Spades. This has the added benefit of making it difficult for their opponents to find a fit of their own. The opponent in the East makes the lead of a small Club. The declarer studies both his own and his dummy’s hand. He does of course have the option of drawing out the opponents’ trump. If the three outstanding trump were split three-zero, this could use up six of his Spades. He has noted with great joy, however, that he has all of the high trump. He decides wisely to use some of his ten trump to cross-ruff the opponents’ tricks. First, he will play the Ace of Diamonds and then the Ace of Hearts. It is very unlikely that the opponent will be able to ruff these two cards. Then he proceeds to alternatively ruff the Clubs and Spades that are in his two hands. The two Aces, seven cross-ruffs and one remaining high trump will give him ten tricks. In this example hand, the trump cards are all high. The three trump held by the opponents are low cards, but they will be able to take three tricks in Diamonds and trumps. If declarer did not have all the top trump, the declarer would begin ruffing with his lower trump first to make sure that his remaining trump are higher than those held by their opponents. He also could afford to draw one, but only one, round of trump first. Games are at the ACTIVE LIVING CENTRE on THURSDAYS at 7PM in the multi-purpose room 2nd floor (elevator) at the back entrance of the Canada Summit Centre. Just come – with or without a partner.